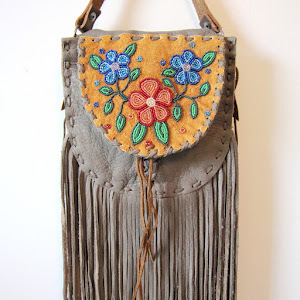 BEYOND BUCKSKIN: A How-To Guide! 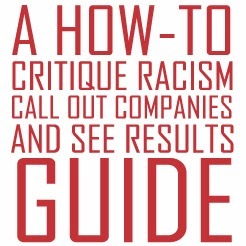 Considering the recent rampage of crazy Native appropriations in mainstream culture, I'm coming up with this 'How-to Guide' on how to critique companies, make some demands, and hopefully see some results. I created this guide because a couple of my friends have told me things along the lines of "I like what you're doing, you don't just sit on the sidelines and complain," and/or "You help create content, and you actually do stuff and help real people like the artists." (And 'complain' was their actual word, not 'critique'). A local business has just thrown a party that is based on ‘Nava-hos’, a rockstar just played a Pocahottie in a music video, a major clothing brand just hosted a fashion show full of knock-off Native headdresses, and a children's company just launched a new savage Indian toy. These things keep happening. How can we critique these acts of racism and see positive results? If you find yourself in a position of critiquing the poor decisions of companies, businesses, people in the news or public eye, or brands, think about what you’d like to see as an end result. Do you want them to apologize for the act? Do you want them to remove the collection-in-question from stores? Do you want them to work with Native people? Vital to any critique is a plan to move forward. Create a path for these companies, institutions, or other groups to step away from profiting off of racism, and move in a direction where we can see some positive results. 1. Apologize. This is the easiest thing that a company can do. Not all companies will do it. For example Urban Outfitters has yet to issue an apology for their illegal use of the word ‘Navajo’ to label and sell their products. Yet, it is a fairly easy thing to do. Many companies already have a template in place for apologizing, so it maybe insincere, but it is a gesture, and that gesture does matter. 2. Remove. This act can also be thought of in terms of easiest to hardest, depending on the ‘crime,’ so to speak. Easiest: You can request that the company/person remove images (ex. in the case of a racist poster, online photo, etc). Mid-level: You can request that the company/person remove content (ex. 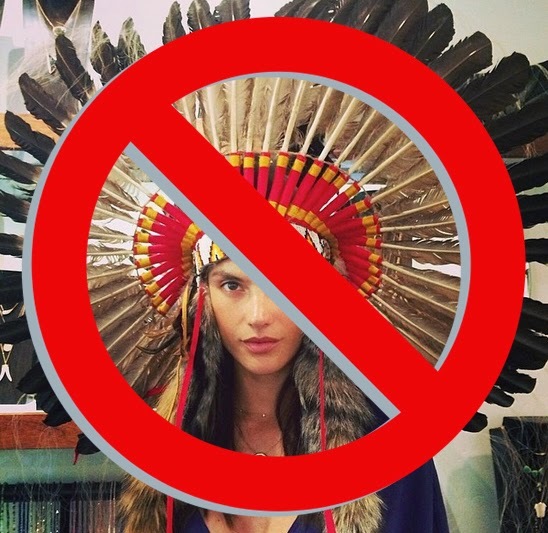 Victoria’s Secret edited out their headdress outfit from the televised fashion show), or you can ask that they remove incorrect labels/words (ex. Urban Outfitters removed the name ‘Navajo’ from their items). Hardest: You can request that the company/person remove items (ex. GAP pulled their Manifest Destiny tee from all stores, and H&M pulled their headdresses from their displays and stores). It’s a little harder for companies to remove items because of the money invested in them, but don’t be afraid to demand that it be done. 3. Commit. Make a commitment to move forward in a positive way. Again, this can be thought of from easiest to hardest to do. Commit to not making the same mistake. Very simple, very easy – just don’t do it again. Commit to donate. This is actually also fairly easy for companies to do, and many already donate to non-profit organizations for the tax credit. It’s fairly easy to make a one-time donation to a Native American organization or program. Companies or brands make a lot of money off of selling the idea of ‘the Indian’ and this is oftentimes to the detriment of our Native communities’ wellbeing. So why not just give money back to the people who you are ripping off and harming with the perpetuation of stereotypes. 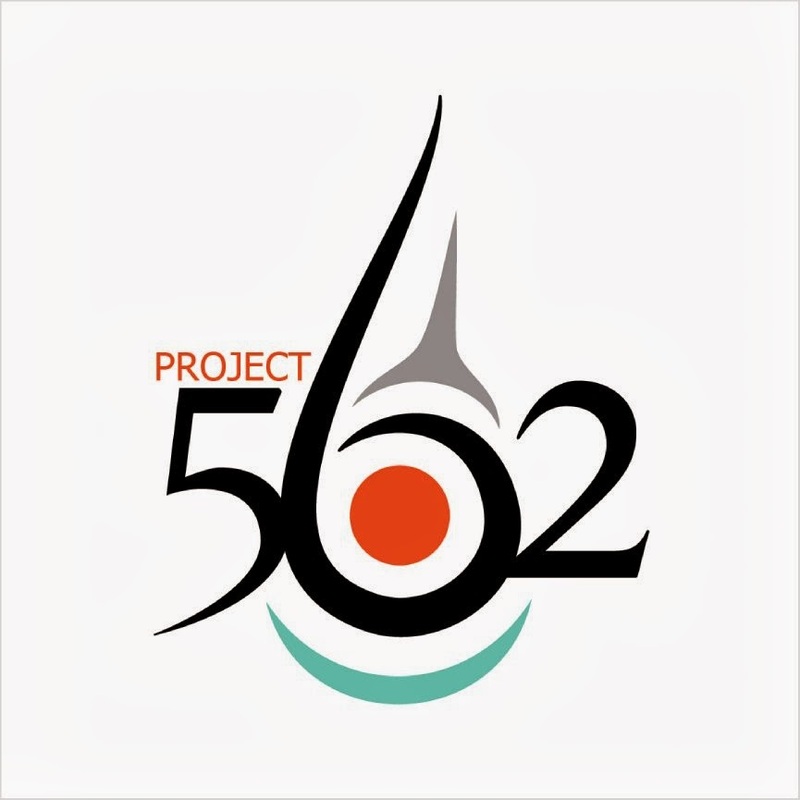 There are many reputable Native American non-profit organizations out there, my favorites being the Native American Rights Fund, the American Indian College Fund, and the Native Arts and Cultures Foundation. When suggesting a donation, list a specific organization (with web address/contact person) to make it incredibly easy for the company to donate. Commit to collaborate. This is probably the hardest for a company to do because it asks the company to think of Native people as equals, as artists, and as humans, instead of just patterns or objects that can be sold for profit. So these are action points that you can bring forward if you see a misappropriation of Native American cultures in popular culture. This is a plan of action that you can tailor to various situations. Keep it as simple and straightforward as possible. It can be quickly and easily done. I call it a ‘list of demands,’ but it is a good idea to write it in a concise letter format. Thank you for removing the Powwow pictures from your Facebook page. However, the party still happened, and the images are still out there. We want an apology, Paul Frank. Since you are profiting off of a caricature of our cultures, a donation to a Native American youth arts program would be fitting to accompany your apology. Furthermore, if you are genuinely interested in Native American design, I suggest you collaborate with Native American designers in the future. Your actions are highly offensive, and it is ridiculous to see this level of racism still occurring in 2012.